The recently launched M2 Note has all the chances to put Meizu on the list of best mobile manufacturers, beating even OnePlus in terms of prices, because when you hear that this phablet costs only $129 in China, and $227 in the rest of the world, you’ll think we’re lying, because there’s no way to be so cheap, for what it has to offer. 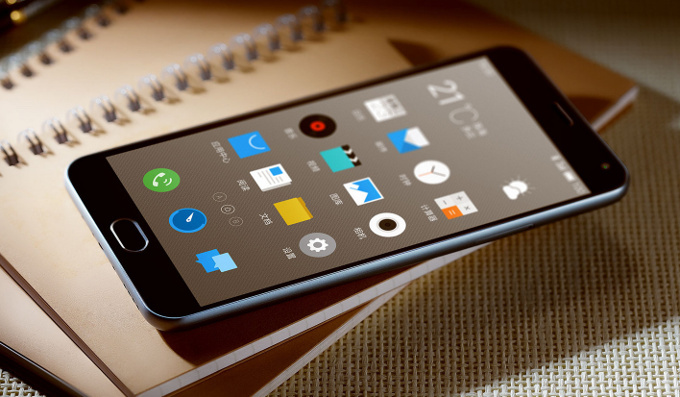 We recommend you to give the Meizu M2 Note a chance, to prove you its capabilities. Its predecessor already conquered the Chinese market, being sold no less than five million units, but the manufacturer is targeting the western market, trying to become more popular than OnePlus Two, which has slightly better specs. Over time, smartphones were thinned out, they’ve become lighter and their screens grew in size until they’ve become almost as tall as tablets. There are many phablets with screens of 6inches, such as the Nexus 6, but they’re considered too exaggerated and people prefer smaller, but yet, large phones, and it seems that 5.5inches is the most common used size. However, most of the extra large phones have a high price, but Meizu found a way to keep a small price tag and it’s still making profits, easily recovering the investment. However, the company is using an IGZO screen that offers a resolution of 1080p, which is still better than the 720p screen from other phablets, which have a similar price. The resulted pixel density is 403ppi, which is kind of the same as on the iPhone 6 Plus, but it has a 72.8% screen-to-body ratio, instead of 67.8%). The colors look sharp and vibrant, making this device a great deal. At first glance, the Meizu M2 Note looks a lot like the iPhone 3G, because it has a front panel with one home button below the screen and its back has rounded edges, being curvier than the M1 Note, which felt rather uncomfortable to hold. The bezel surrounding the left and right sides is very thin, while the top and bottom bezel is much thicker, and as we were saying, in terms of design, especially on the front side, the M2 Note is very similar to an iPhone. At the top you’ll see the speaker, a notification LED light and in the right corner was placed the secondary camera. On the left side you’ll find the power and volume buttons, and it’s nothing unusual for a Chinese phone, because this design is very used in Asia. At the top there’s the headphone port, while on the opposite side was placed the USB port. On the right side you will see the tray with the SIM card slot and microSD card slot, which allows you to expand the internal memory of up to 128GB. The phablet is available in color variants of Gray, White, Blue and Pink, it weights only 149 grams and it measures 150.9×75.2×8.7mm. The M2 Note runs pretty fast with a Mediatek octa-core 1.3GHz processor and 2GB of RAM, offering a better performance than the Moto G, which has a quad core 1.2GB processor backed by 1GB of RAM. The internal memory is available in two variants of 16GB and 32GB, putting the Moto G to its place, as this handset has only 8GB of storage. The battery has a capacity of 3100mAh and it should last at least one day under mixed usage. In the GeekBench 3 benchmark, the Meizu phablet obtained a multi-core score of 2693, while the Moto G scored 1142 points and Xperia M2 Aqua had a score of 1133. It’s not important to specify the score obtained by the much more expensive One M9, or other popular flagships which cost almost triple. The Meizu M2 Note comes loaded with Android 5.1 Lollipop and uses its own UI called FlymeOS, that offers a variety of cool wallpapers, but the theme is available only for Chinese content. To have access to notifications and options screen, you will swipe down from any part of the screen, while when flicking up from the bottom, you will get to the quick launch menu. 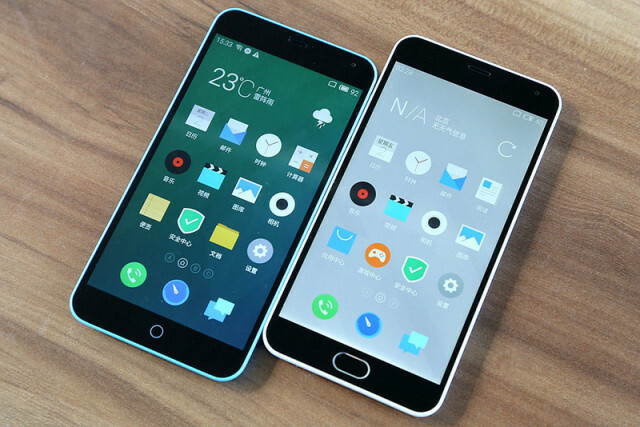 The Meizu M2 Note ahs all applications displayed on the screen, making it crowded. The main camera is 13MP and has autofocus, dual-LED flash and includes a zero-delay shooting technology, which allows you to take photos at an impressive speed. The outdoor shoots look bright, the colors are accurate, but the camera tends to “lose” some elements. Some shots are blurred, but this happens in rare situations, and the good news is that you have a bunch of settings and features which will allow you to configure your pictures. You’ll have a manual mode, a Panorama mode, Instagram-like filters and other pre-set options. And when you want to take pictures without touching the screen, you can use the volume rocker as the camera button. As for the secondary camera, it’s 5MP and features a Beauty setting which will add effects to your face to correct your defects (wrinkles, dark circles, acne etc. ).